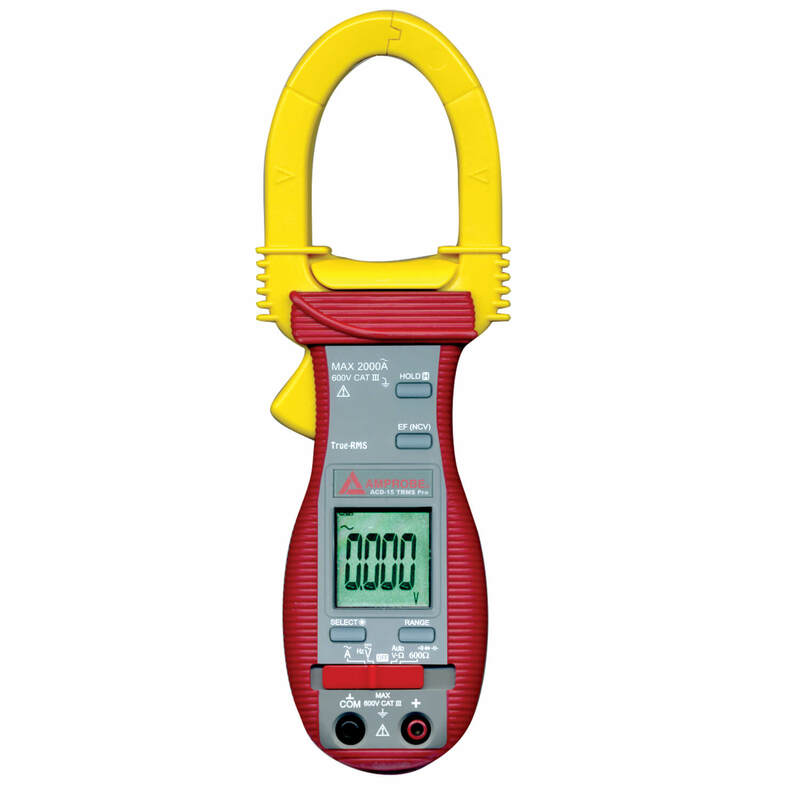 Amprobe ACD-15 TRMS Pro Digital Clamp on Multimeter has range of measuring features built into one, professional meter. 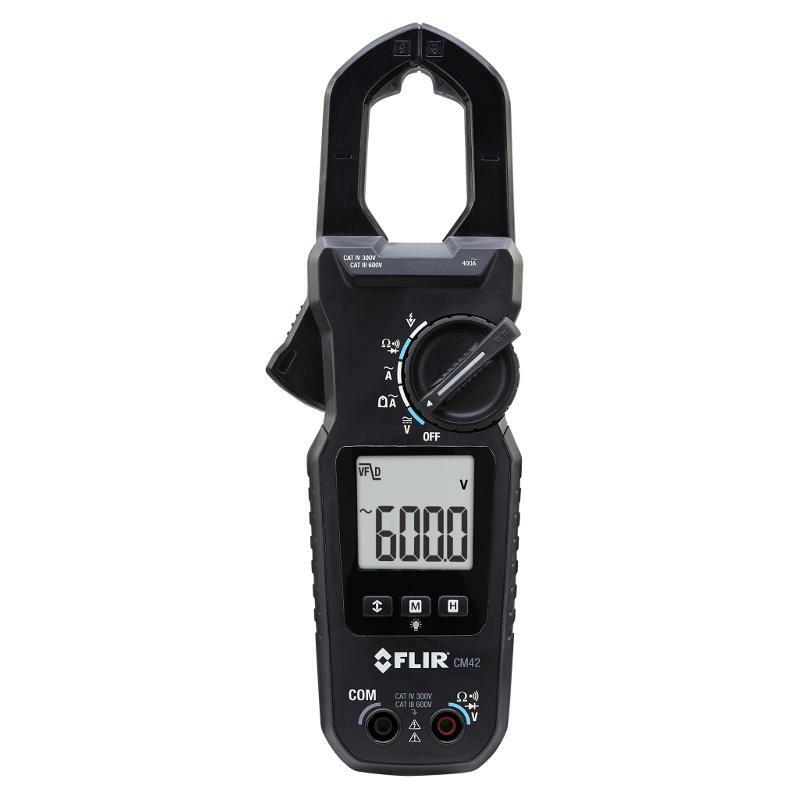 The TRMS version with backlight display, improves performance and reliability. 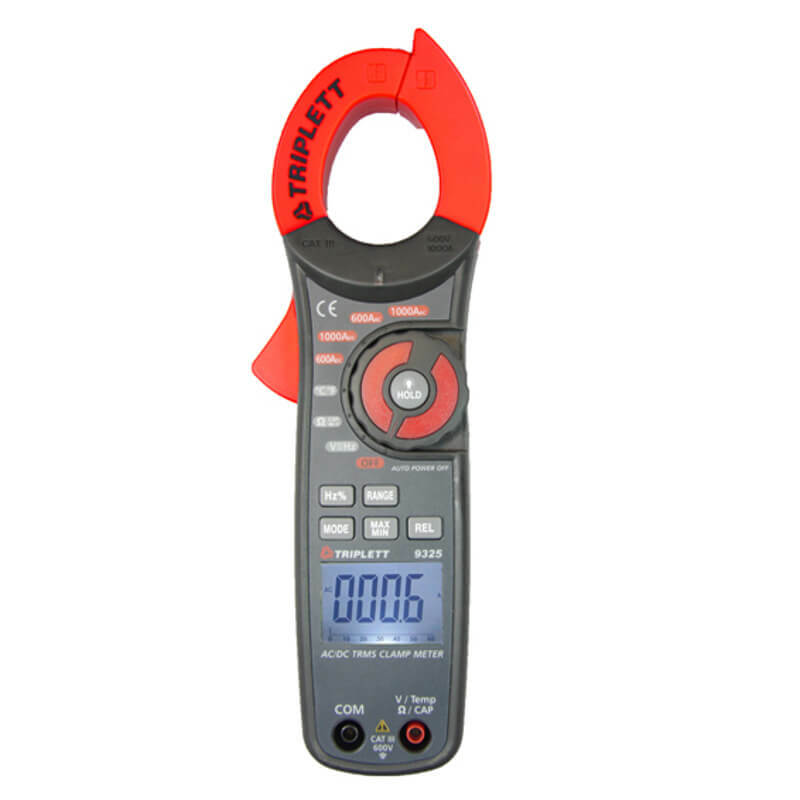 There are plenty of look-alike clamp multimeters on the market, but professionals choose genuine Amprobe. It′s really all about choices. 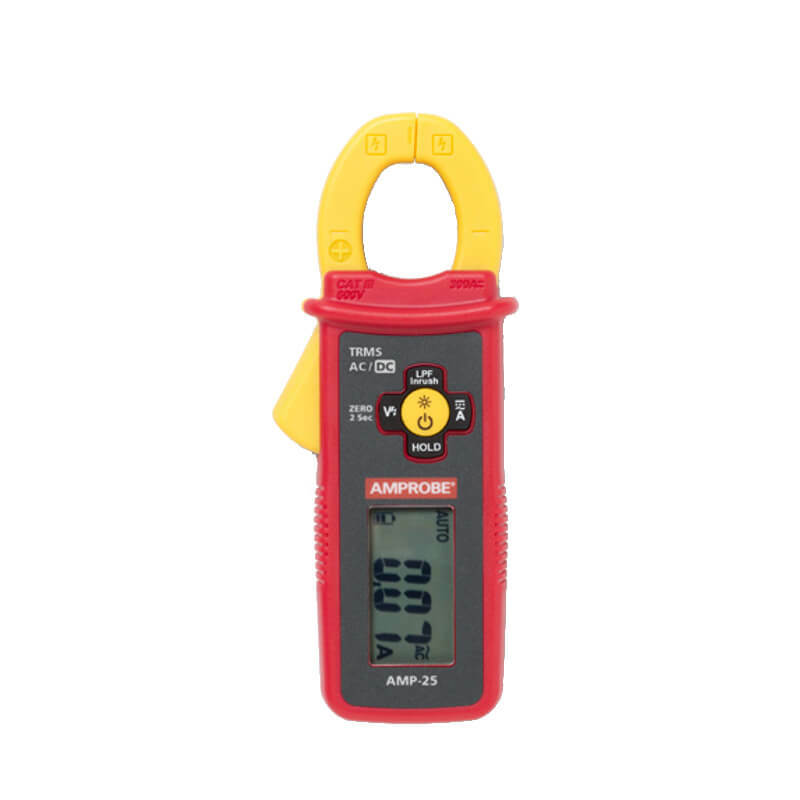 Amprobe Instruments offers you a full line of Clamp Multimeters (Digital Clamp Meters) for Volts-Amp Resistance, Multimeter, Recording, Power and Power Quality applications. So go with the choice of professionals. Amprobe Instruments famous Red, Rubber, Ribs make it easy to "grab the Amprobe" you need to get the job done right. 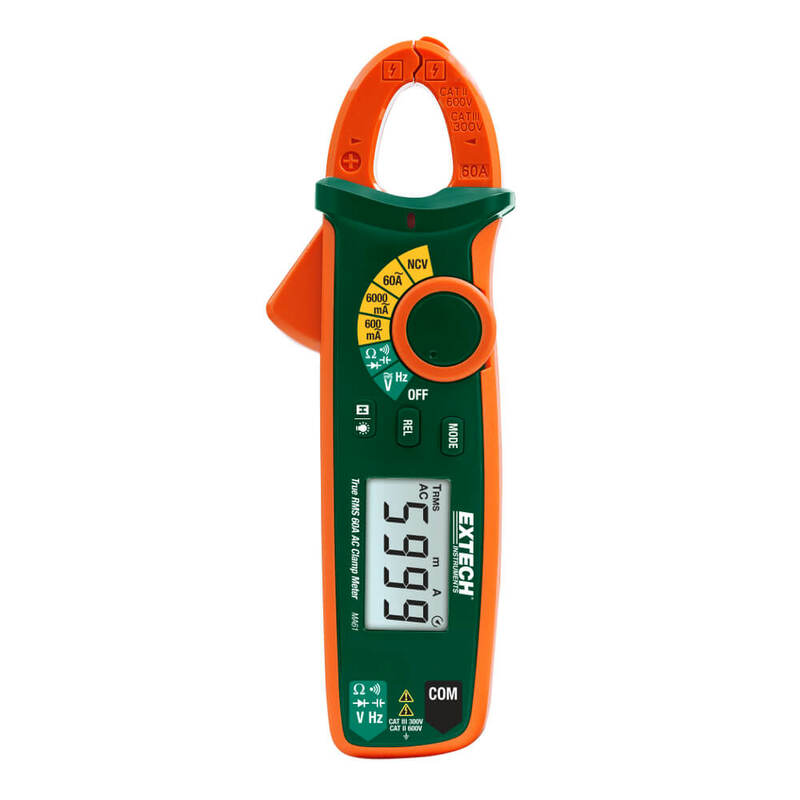 For most applications, the TRMS version of the meter is recommended in order to avoid large measuring errors. If uncertain, always choose TRMS sensing clamp to assure measuring accuracy for all your applications. The Average Sensing clamps are ONLY accurate for pure, undistorted sine wave signals, and may generate errors over 30% for distorted sine waves. TRMS technology assures accurate measurements, regardless of a distortion of the signal. The distortion of the voltage or current is caused in most cases by "Non-linear" loads for example: Electronics (radios, VCRs, computers, TV sets, etc. ), Light dimmers, Variable Frequency Drives (VFDs), Adjustable Speed Drives (ASDs), Uninterruptible Power Supplies (UPSs), Fluorescent and energy saving lights and many more. The distorted wave is transmitted across the power lines and it affects all electrical equipment connected to the same system. does all of the things i need it to! amprobe makes the best products out there! I have used and seen this meter used in the class room as well as in the field. It is an easy meter to use and understand for all levels of experience. I personally have used many Amprobe models in my 37 years of work and have not found one yet that does not do the job and more and have purchased one for the classroom.